Getting Started with Caddie is the first course within the Getting Started with Caddie category of online courses. It is aimed at new users to enable you to get set up and drawing as soon as you have downloaded your software without having to wait to attend a face to face course. If you are an existing Caddie user you will also find the Caddie Basics courses useful to refresh or extend your knowledge and skills to get the best out of all of the features in the software. Once you have enrolled you will have 12 weeks to complete the course. You will be able to study anytime and anyplace that you have an internet connection and Caddie running. Some modules will contain practical exercises requiring you to download and open an example drawing in Caddie with questions linked to the exercise, providing the opportunity for you to test your knowledge and reinforce your learning experience. To enrol, first ensure you have an account for this Caddie Online Learning site. You will need to create an account or use your same login details from the main Caddie website. Click to log in from the top right of the screen and follow the instructions. Once the payment has been processed you will receive a welcome email with an 'Enrolment Key'. 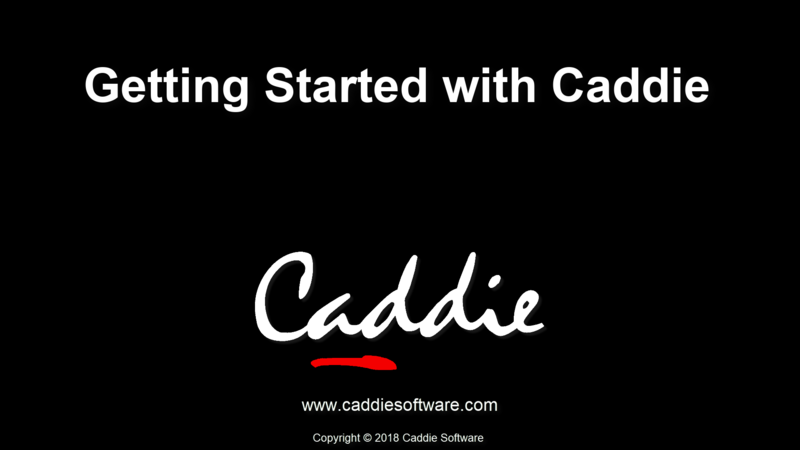 On this site when you click on the course title 'Getting Started with Caddie', you will be prompted for the enrolment key as part of the enrolment process.